Teledyne Marine has a fantastic opportunity for a Hydrographic Surveyor to represent the company with the technical knowledge and skills to provide the highest levels of support, providing our customers with innovative solutions. The position will be based in Aberdeen (UK) and involves extensive travel. Teledyne Marine is a group of leading-edge undersea technology companies that have been assembled by Teledyne Technologies Incorporated. Over the past 10 years, through acquisitions and collaboration, Teledyne Marine has evolved into an industry powerhouse, bringing the best of the best together under a single umbrella. 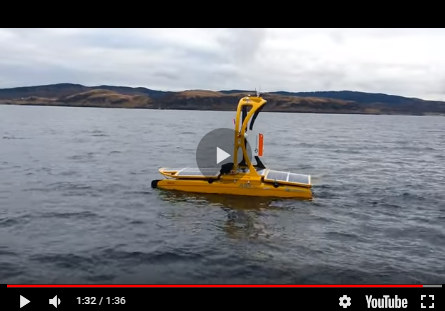 With technologies divided into 5 core segments; Imaging, Instruments, Interconnect, Seismic and Vehicles, Teledyne Marine staff can address not only brand level solutions, but turn-key, customized systems that leverage our full range of technology. Our goal is to provide one-stop purchasing capability, worldwide customer support, and the technical expertise to solve our customer's toughest challenges. A Sea of Solutions…..One Supplier. Surveyor will report to the local Engineering Services manager. - Vessel installation management, dimensional control and calibrations. - Authoring and executing acceptance test protocols. - Training and customer support. • Precise, prompt and courteous customer support, technical help and training. • Assigned to the 24/7 after-hours support hot lines on a rotational basis. • Prepare technical documentation and drawings for hydrographic survey solutions. • Perform internal product testing, support and feedback into research and development. • The position is expected to include between 120 and 150 travel days per year. • Multibeam surveying experience in the hydrographic industry at a minimum of 3 to 5 years. • In depth knowledge of at least one of the leading hydrographic software packages for multibeam survey. • Excellent communication and customer liaison skills, both written and oral. in presentations, training and Q&A seminar. • Self-motivated, and able to work independently. • Valid driver’s license and clean driving record. permit to the UK will be considered for the position. rewarding career of a Teledyne Marine team member.